I can't live without music. I listen to music everyday, everywhere I go my favorite songs are with me. I never paid much attention to headphones. But I've been seeing lately that there are some very nice headphones out there. 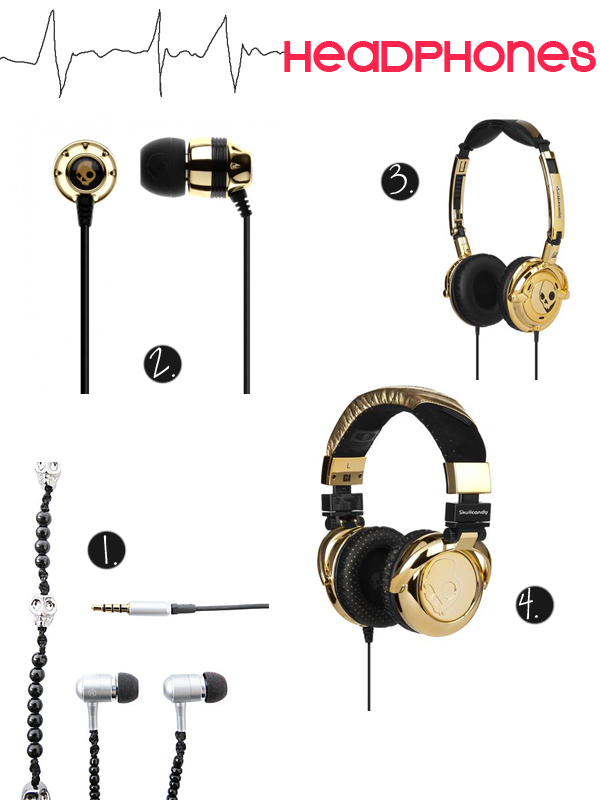 I really like the idea of gold headphones, they are sooo pretty! I like bigger headphones, those small ones are just annoying but these gold ones are so cute, also 1. is really interesting because it looks like a necklace. Love it. P.S. If you are interested you can follow me on Twitter to see my pictures from February Photo A Day Challenge. beautiful headphones! Small ones are also available with svarowski crystals! Technically speaking I like very much Creative ones, they can reproduce basses very well. Creative ep630 are very good! I love those gold ones 3 and 4 they are lovely. I think I would not be able to live without music as well! :) They're just so great for any type of mood! Those SkullCandy headphones are amazing! And right now, I'm just using the Apple earphones that came with my iPhone... I know, I know! My headphones are nothing like this! !